Analysts at both Gartner and IDC reported the seventh straight quarter of declining PC shipments, although both firms saw a light at the end of the tunnel. Of the top PC vendors, Lenovo widened its lead over HP and Dell on a worldwide basis during the fourth quarter of 2013, as the Chinese PC maker was one of the few to show positive growth. The decline of the traditional PC has become almost an accepted fact, with Windows 8 an Windows 8.1 having failed to stem the tide of users rushing to tablets and phones. IDC reported that PC market slipped 5.6 percent to 82.2 million units, better than the 6.0 percent that the firm expected. Gartner said that the dip was 6.9 percent from a year ago, to 82.6 million units. For 2013, IDC said, total PC shipments declined 10.0 percent, as consumers continued to take a wait-and-see attitude. “Total shipments have now declined for seven consecutive quarters, and even the holiday shopping season was unable to inspire a turn in consumer spending,” Loren Loverde, an analyst at IDC, said in a statement. Both firms reported that while Lenovo increased worldwide PC sales during the fourth quarter, HP, which was in second place, saw units shipments fall. 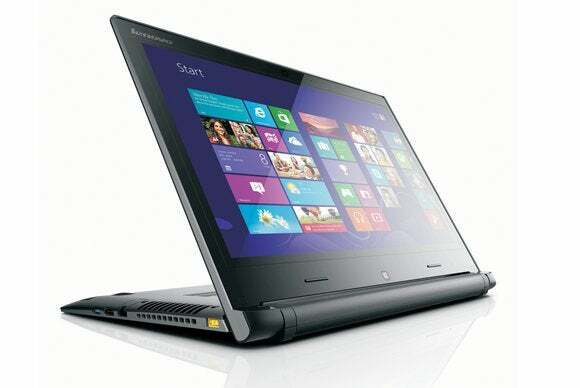 IDC said that Lenovo’s sales grew 9 percent to 15.3 million units, or an 18.6 percent market share. HP saw sales fall by 8.5 percent to 13.8 million units, or 16.8 percent share. Dell saw sales grow about 5.8 percent, giving it 12.2 percent market share. Acer’s sales plunged more than 21 percent, giving it 6.4 percent of the market, slightly higher than Asus, at 6.1 percent market share. Within the United States alone, Lenovo couldn’t climb out of fourth place. Gartner said that HP’s shipments slipped 10.3 percent to 4.2 million units, or 26.5 percent market share. Dell grew 7.4 percent to 3.6 million units, or 22.8 percent share. There was an unusual anomaly with the sales figures both firms reported for Apple. According to Gartner, Apple ranked third, with a strong 28.5 percent increase to 2.2 million units, or 13.7 percent share. But IDC reported that Apple's sales fell by 5.7 percent to 1.59 million units, good enough for 9.3 percent market share -- and fourth place. Otherwise, within the United States, Lenovo grew 3.5 percent to 1.5 million units, or 9.7 percent share, Gartner reported. Only Toshiba saw sales fall, down 13.9 percent to 1.1 million units and a 7.2 percent market share. The key to the PC's future success, according to IDC, will be lower-cost thin-and-light products. Updated at 8:50 AM on Jan. 10 to note the discrepancy in Apple's numbers.